There are plenty of different transport routiers in Islamabad Capital Territory Province from road transport to air or sea options. It might seem difficult to pick one service from all the transport company names. We’ve gathered together the top transportation companies to help you out and also, we offer you some tips in order to ease your choice. Pay lot of attention to safety. For example, check inspections of the truck transport companies. Compare different quotes to find a good price but do not choose only based in the price. When transporting, the most important thing is to carry out a good job in time. If the cargo doesn’t arrive in time, it might lead to more loses than choosing a more expensive option. When looking for the best cars movers, the thing you have to pay more attention to is how long it takes for them to transport your vehicle. Try to hire door to door service. 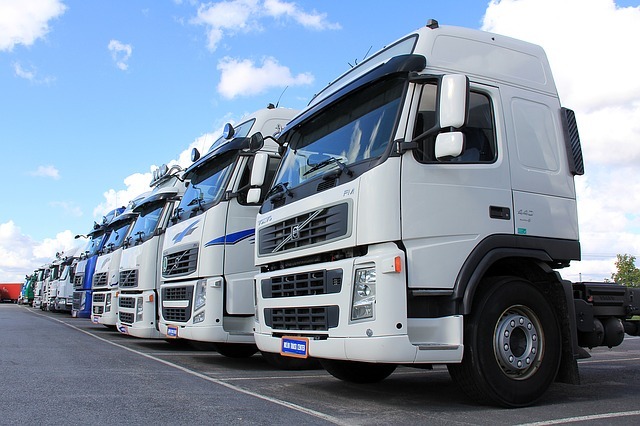 The transport company must provide you with a tracking system so you can know where your vehicle at any time. Choose enclosed car transportation to avoid damages due to weather conditions and other. Try to find a company which includes the insurance costs in the total bill. At Infoisinfo we always work hard to be able to show you the best products and services all around Islamabad Capital Territory Province. When it comes about transporting services, we know how important is to be sure about your items' safety. This is why we’ve prepared a list of the best transport companies in Islamabad Capital Territory Province. In this directory, you could find the best trucking companies, express transport services and freight transport companies among others. Get in touch thanks to the contact detail provided such as phone numbers, address, websites or opening times. In addition, have a look at comments and valuations from other clients to get a closer opinion about each service. office no 1 Madni Tower Ghori Town Islamabad, Islamabad. Islamabad. Islamabad Capital Territory. Executive Office # 6, Mezzanine Floor, Yaseen Plaza, Jinnah Avenue, Blue Area, Islamabad 44000, Pakistan, Islamabad. Islamabad. Islamabad Capital Territory. 13 paradise plaza G 10 markaz, G-10. Islamabad. Islamabad Capital Territory. Rehman Plaza, Service Road, Express Way, Garden Town, Khanna Dak. Islamabad. Islamabad Capital Territory. block # 33 flat # 11cat 5 sector i94. Islamabad. Islamabad Capital Territory. office#6, f-11 Markaz -, Capital. Islamabad. Islamabad Capital Territory. Plot # 17, I & T Centre, G-7/1, Federal Capital Area. Islamabad. Islamabad Capital Territory. Company is working in Vehicle sales business activities. Tokio Autos is located in Plot # 17, Federal Capital Area, Islamabad, G-7/1, I & T Centre, Pakistan. Plot #394, I-9 Industrial Area, Capital. Islamabad. Islamabad Capital Territory. M-5, Dossal Arcade, 47, Blue Area, Behind PIA Bldg. Islamabad. Islamabad Capital Territory. Company is working in Car rental business activities. UNITED RESOURCES is located in M-5, Islamabad, Behind PIA Bldg, Blue Area, 47, Dossal Arcade, Pakistan. 22-Mezzanine, Blue Area, Capital. Islamabad. Islamabad Capital Territory. Company is working in Logistics business activities. MOTOR WAYS CAR RENTAL is located in Islamabad, Pakistan. Office # 11, Block # 20-B, Blair Plaza, G-8 Markaz, Federal Capital Area. Islamabad. Islamabad Capital Territory. Company is working in Vehicle sales business activities. Ms Motors & Rent A Car is located in Office # 11, Federal Capital Area, Islamabad, G-8 Markaz, Blair Plaza, Block # 20-B, Pakistan. St# 3, Block# 9, I & T Centre, G-7/1, Federal Capital Area. Islamabad. Islamabad Capital Territory. Company is working in Vehicle sales business activities. New Benazir Auto is located in St# 3, Federal Capital Area, Islamabad, G-7/1, I & T Centre, Block# 9, Pakistan. Shop# 5, Khadda Market, G-7 Markaz, Federal Capital Area. Islamabad. Islamabad Capital Territory. Company is working in Vehicle sales business activities. Nomi Autos is located in Shop# 5, Federal Capital Area, Islamabad, G-7 Markaz, Khadda Market, Pakistan. Shop# 4, Plot# 2, I & T Centre, G-8/4 Markaz, Federal Capital Area. Islamabad. Islamabad Capital Territory. Company is working in Vehicle sales business activities. Pak Khyber Autos is located in Shop# 4, Federal Capital Area, Islamabad, G-8/4 Markaz, I & T Centre, Plot# 2, Pakistan.